This will be my last S&S festival, at least in Penang. It’s been a lot of fun, especially working with my talented students over the year and to see them excel on the community stage. We’ve won a lot of awards of the year, and it’s been fun to reflect upon them during this last festival. I’m most proud of the remarkable string of Newcomer Awards my students have won over the years. You’ll notice that 2015 is missing in the list. Well, that’s because the newcomer I had in my play last year, Lexi Zimbulis, actually went on to win the Best Actor Female award. On top of all of that, I pitch in 3 best script awards (2013, 2014, 2015) and 1 best director award (2015). It’s a great festival for building and showcasing talent as well as for networking with other crazy theatre folks. 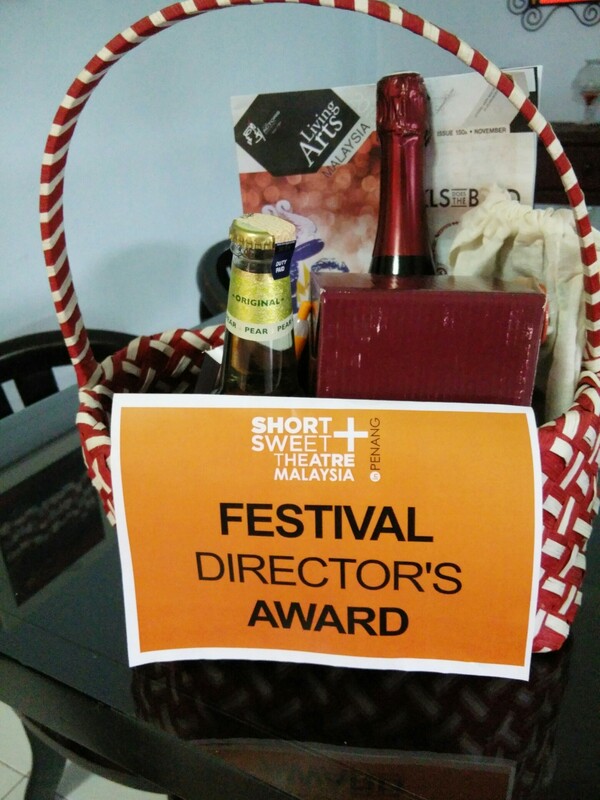 I’ll always look fondly upon Short & Sweet Theatre Penang and wish it the best as it moves forward and as I move on. This entry was posted in drama and tagged malaysia, short & sweet Penang, theatre by sassevn. Bookmark the permalink.